The Right Construction Software for Your Organizational Needs! Construction software has matured over the past thirty years with functionality becoming standard across software products. To better serve our clients we have teamed up with the top construction software vendors and other industry leaders to help our clients take their construction business to the next level! How do we create a technology platform that incorporates not only standard job cost accounting and operation functions, but also allows for true mobile access today and the ability to take advantage of the quickly expanding technology tools for our industry tomorrow? Over the past thirty years, the Strategies Group team has supported over 2,000 construction clients across the southeast. Our purpose during these three decades has been to help our clients find, implement and optimize the technology solutions that allow them to grow and prosper. The construction technology market continues to change and our team is constantly reviewing the industry’s technology offerings for both accounting and operations systems. The partners we have selected have proven themselves as extremely customer focused, providing products with deep functionality and advanced technology. Acumatica’s Construction Edition is a full-featured Construction ERP that helps you improve margins and project control from estimating through close out on home, multi-family, commercial, mixed-use, land development, and government projects. With Acumatica Construction Edition you are able to create more efficient construction projects by staying on schedule, managing commitments and achieving better results. 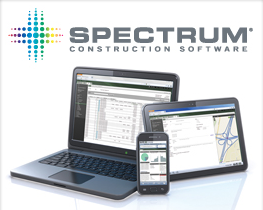 Spectrum delivers complete business management for small & large construction companies. From construction accounting to project management, from the office to the job site, and across the entire lifecycle of construction work, Spectrum has helped thousands of clients manage and grow their contracting businesses. Experience a solution that is scalable, configurable, and fully integrated! Vista provides timely reporting of critical financial data with unrivaled visibility and control. Achieve a dramatic increase in efficiency and profitability with one of the most comprehensive construction software solution on the market. Vista enables the seamless centralization of information with complete visibility, providing secure, fully interactive data across your organization. Find the Right Solution for your Construction Business! Our experts have over 20 years of industry experience. Schedule a meeting with one of our solution experts to better understand the right solution for your construction firm.